Ever have one of those projects that when you are done with it, it just doesn't seem right? Well, this is one for me. The design looked so much better in my mind. Some how I just couldn't get those flowers and leaves to work for me but, I decided to share it anyway. I do like the Pumpkin Pie and Basic Black together. Stamp Set: Season of Giving (Hero Arts); Ink: Basic Black Archival; Card Stock: Basic Black, Pumpkin Pie, Whisper White Thick; Accessories & Tools: Festive Flower Builder Punch, Black Flowers (Prima), Orange Flowers (Daisy D's), Candy Dots Brad Bases, Rhinestone Basic Jewels, Glue Dots, SNAIL Permanent Adhesive, Stampin' Trimmer. Stampin' Up!® product unless otherwise noted. Thank you, Antonia, for your kind words. Oh, I agree with Antonia- I think this turned out lovely!! 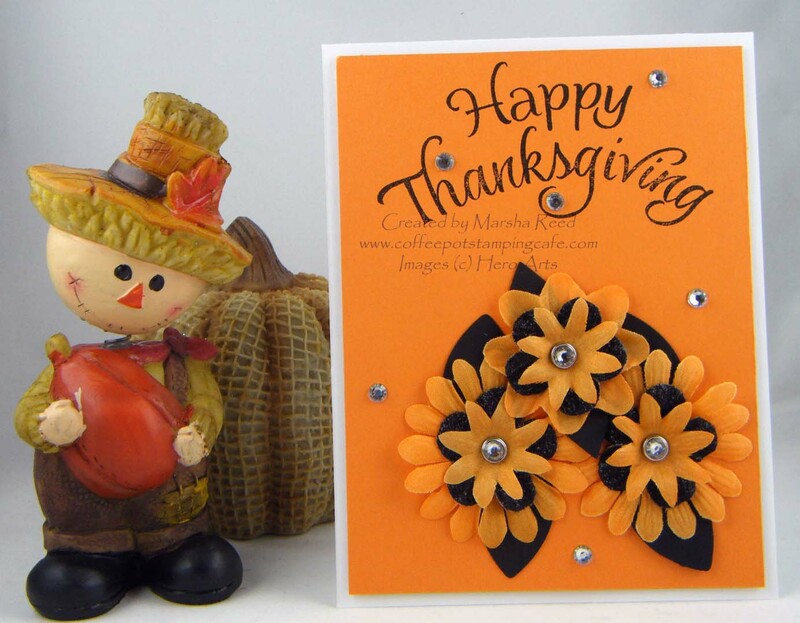 The flowers and leaves look great together and perfect for a Thanksgiving card!! Thanks for playing along with us at Colour Me! Thanks, Julie! 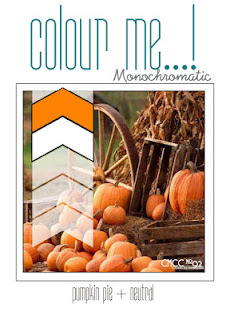 I really enjoy the Colour Me...! challenges.